Among them is Miller Hatcher, a journalist battling her own demons, who arrives intent on gaining a promotion by covering the grisly murder. Following an anonymous tip, Miller begins to unravel the mystery of the small town. And when another woman goes missing, Miller finds herself getting closer to the truth. But at what cost? 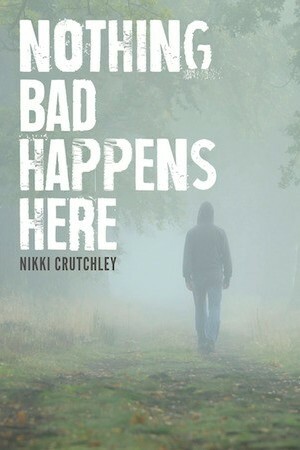 I forgot NOTHING BAD HAPPENS HERE was a debut novel as you'd never know it from reading it. Set in the sort of small town in New Zealand that caters mostly to the summer tourist trade, journalist Miller Hatcher is sent there when the body of a tourist who went missing a while ago is discovered. Her and just about every other journalist in the country creating a frenetic, odd atmosphere in a town which should be quiet, safe, nondescript at that time of the year. It was an odd disappearance really - Bethany was last seen in a local hotel, before quietly vanishing. Nobody saw anything, or has any clues, although local police never forgot. When her body is eventually discovered deep in the surrounding forest, the media scrambles, but with nothing much to go on, the story quickly peters out. But Hatcher was late arriving in town, and finds herself staying at an outlying retreat, closer to the forest, populated by strangers and locals. Working, as she does for a monthly magazine rather than a newspaper, she's got more leeway to meet longer deadlines, so she's after a hearts and minds type of article. A good job might be the key to a promotion, and it might also be the thing that Hatcher requires to get her own life back on track. She wouldn't have expected the type of woman who runs the retreat she's staying at though, nor the fellow guests, or the handyman, certainly not the things that the surrounding forest starts to reveal. Needless to say we're talking a damaged central character, an odd, closed room type of town, and a hefty dose of an odd supporting cast. Balanced well against a great police character - the genuinely likeable character in the mix, and some decent, and caring behaviour from some people. You can't help but wish Bethany had caught some of the good, but her back story is as sad as her eventual demise. 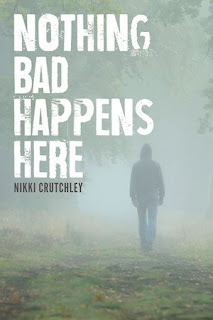 A combination of solid plot, with plenty of hints dotted along the way to a final twist that works well, NOTHING BAD HAPPENS HERE is very addictive reading. Hatcher is undoubtedly a flawed character, frequently almost pathetic, but there's enough in her back story, and the way her problems are presented to make her understandable, if not completely sympathetic, and as a result absolutely real. Sergeant Kahu Parata, the local cop is the balance of straight up versus Hatcher's edgy, he's a decent sort of a bloke, personally and professionally. All of the supporting cast contribute to understanding the place, the people, and the sensibility of somewhere that's struggling with the combination of natural beauty and human cruelty. Despite that beauty, there is always the sense of a dark place, outside the edges of the town. Dense forest, brooding, with goodness knows what lurking. Using the sense of menace that place creates, the plot has pace, and more than enough spark to keep the reader guessing right to the final twist. Karen Chisholm is one of Australia's leading crime reviewers. She created Aust Crime Fiction in 2006. Karen also reviews for Newtown Review of Books, and is a Judge of the Ned Kelly Awards and the Ngaio Marsh Awards. This review was first published on Aust Crime Fiction.